It happens very often that when you go hiking, trekking or camping, the conditions will not be always perfect for you to enjoy a dry and warm day in the nature. In the great outdoors, weather is more unpredictable and we’re not carrying all that we need to stay dry and comfortable. This is why hikers and campers need to be prepared both mentally and physically that they will get wet from time to time. There’s nothing frightening about this, but if unattended, wet feet and clothes can lead to illnesses and weakened body defense system. This is why it’s so important to keep dry and most of all to know how to dry your already wet clothes. In this article we will explore ways on how to dry wet clothes fast and efficiently. It is important to know that tight clothes promote bad blood circulation and as a result make you cold. Slightly damp clothes in combination with low body temperature can cause hypothermia. So, wear loose clothes to let body perspiration escape and not accumulate on your skin. This will also keep your sweat evaporating rather than dampening your clothes. A good tip to keep your clothes dry in the first place is to spray a water repellent to minimize the absorption of your clothes. If you end up having wet clothes on the trail, you will have to take into account the weather. For example, if it’s rainy leave your dry clothes inside a plastic bag and into your backpack, until you get to a safe place, in your tent, hut, etc. and then hang the wet clothes and dry them. As long as the above four conditions are met, you will be lucky to have your clothes dry in no time. 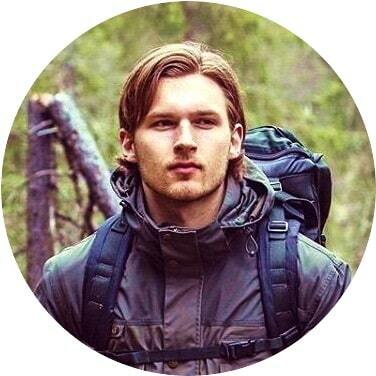 Of course, while you’re in the wilderness, you have to be aware that humidity and moisture are unavoidable. So to make sure you use the above knowledge to its full potential, you can think of different weather conditions and how to most efficiently use them. 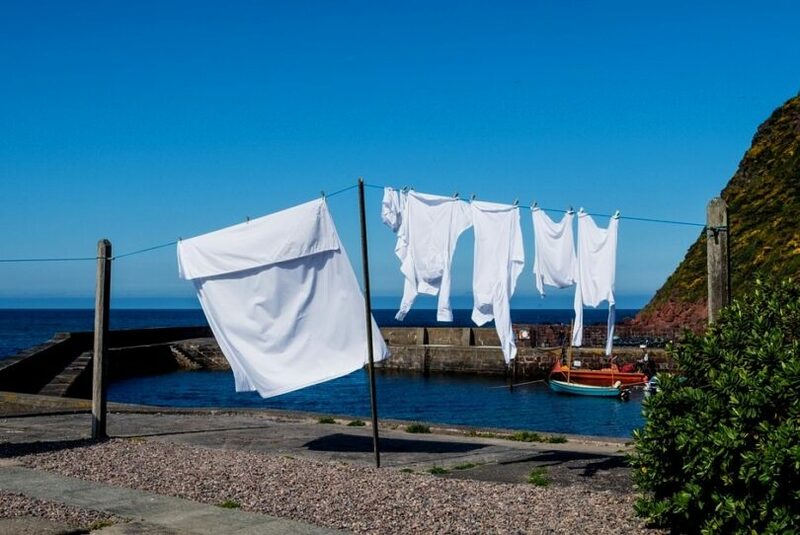 If it’s sunny, warm and dry, this is of course the perfect time to dry any wet clothes you may have. Of course, you can’t hang them on a line and wait for them to be suitable for wearing again, but you can attach them on your backpack, spread them (remember the large surface) and provide for good ventilation. Your clothes should be dry virtually in an hour or so. Even if it’s not sunny, as long as it doesn’t rain you can use the good ventilation you can provide by hanging your clothes somewhere on your backpack. If it’s cold, don’t worry – cold conditions also promote moisture evaporation, unless it’s subzero temperatures. That’s when your clothes may freeze, but nonetheless, they will dry over time, albeit much slower. In case there is wind, it will promote faster drying even if the humidity levels are slightly elevated. Another useful way to dry your clothes, especially if they are smaller in size, like socks, mittens, etc. is to keep them close to your body, or even in your sleeping bag. This may be an uncomfortable idea, but it can work if these clothes aren’t entirely wet and dripping. If they are, squeeze them well, hang them for a while on the roof of your tent or sleeping area, and wait until they are damp. When you’re ready to go to sleep, place them in your sleeping bag. Your body heat and dry air inside will draw the humidity out and will help dry your clothes. A warning though – don’t put too much wet/damp clothes in your sleeping bag at once, since the moisture may get to the clothes on you and actually make you feel colder. This is a risky situation since your body temperature lowers while you sleep and you may catch a cold. If the idea of keeping clothes inside your sleeping bag doesn’t excite you, you can simply hang them on a line or hooks and keep them there during the entire night. 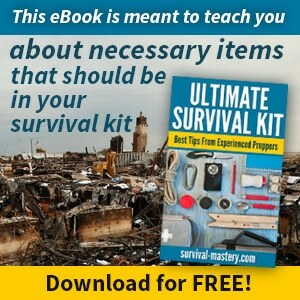 Hopefully the ventilation in your tent will remove most of the moisture in your clothes. Of course, there is the risk for condensation inside the tent, so make sure the air circulation is at its best. Another efficient way is to start a campfire and hang your clothes beside the fire, but not too close of course, or you may burn them. Keep them at a distance where you can yourself feel the warmth. You don’t especially need it to be extra hot in order to dry your clothes faster, since extreme heat my actually damage your clothes than do them any good. Also, watch for steam coming out of your hanging clothes. If you see steam, then probably they are too close to the fire. Move them slightly away from it and observe how the steam gets less visible – your clothes will dry much more naturally at a more comfortable pace and temperature. This is also true for leather clothes and boots. Let them dry in a normal temperature, which is considered comfortable for you, and far from direct heat sources like fire. Leather dries best at room temperature so aim at that. 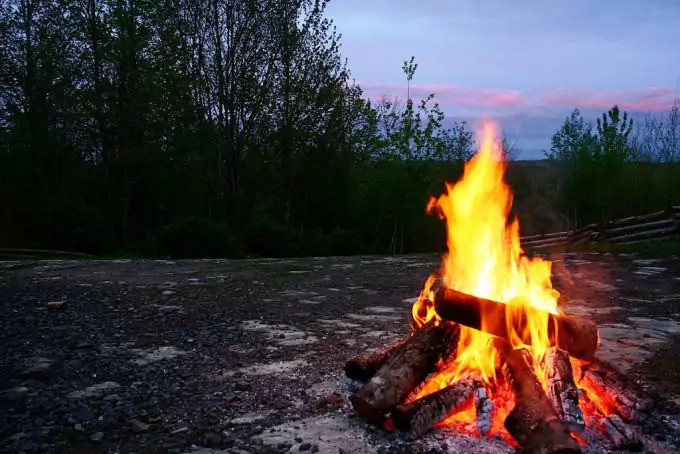 If you don’t have the option for a campfire you can put your boots or leather clothes, next to your sleeping bag and the liner during the night. 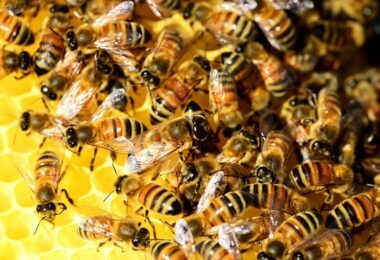 Your body heat is enough for them to dry slower and safer. Another more crude way to dry your clothes is to spin and squeeze them as long as you can. Spinning the clothes removes the water due to the pressure you put in this motion. There is even a machine which ‘salad-spins’ your clothes. 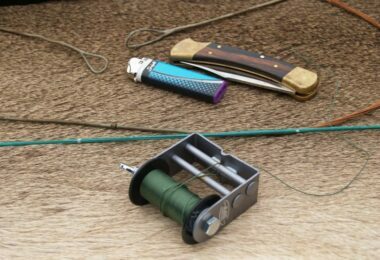 Of course, you don’t go hiking or camping with such gadgets, but the concept of spinning and forcing the water out of the clothes isn’t new at all. You can perform this action as long as you have energy to do it. The goal is to have a slightly damp cloth which can dry entirely by the campfire or hanging in your tent. Another option to test and try is to take the wet piece of clothing and roll it inside a completely dry cloth. This dry cloth shouldn’t be an important item, which you rely on, but something you can sacrifice for several hours. As you roll the wet cloth in the dry cloth, the dry one will absorb part of the wet cloth. It will not make it completely dry, but will draw out most of the predominant moisture. To add to the above tips, you need to know that certain types of fabrics and clothes tend to dry faster or slower. For example, if you have nylon or polyester underwear, since it’s synthetic, it will be able to dry very quickly (it can dry even on you if it doesn’t rain and you let some air circulate under your overalls). On the other hand, some thicker clothes will of course take much more time. Wool clothes also tend to dry faster than most fabrics. So, if you want to be more efficient while hiking or camping, you may want to have predominantly synthetic or/and wool clothes with you. Also, if you wear loose clothes and not entirely tight on you, loose clothes have a much higher chance for drying while you wear them, in comparison to tight clothes. Furthermore, loose clothes don’t get that wet just because you’re sweating. But if it rains suddenly and get wet, you can try the other options for drying when you’re safe in your tent or shelter. It is also important to add that in order to avoid getting damp clothes because of sweating you should avoid overheating in the first place. Don’t walk too quickly so that you begin to sweat. Also, if you can’t avoid walking briskly, at least make sure that you provide your body with proper ventilation to avoid over-sweating and let your sweat evaporate without the obstruction of your clothes. Even if your clothes are slightly damp because of sweating, opening your jacket and removing any blockages can promote faster drying of your clothes. You body’s natural heat in combination with proper ventilation are the best ways of getting dry. Also, remember that if your sleeping bag is made of down feather, it will dry very slowly and may ruin several nights for you, and in fact, make it impossible to sleep in it. Sleeping bags made of synthetic fibers can get dry very quickly and won’t keep you cold even if they are slightly damp. So, you may also want to consider that option in order to minimize the time spent on drying your items. While on the topic of synthetic clothes and items, you need to be extra careful if you decide to dry them by the campfire. Since these items are made of synthetic fabric, they tend to catch on fire upon the smallest raise of temperature, especially near the fire. Be very careful if you see or hear sparks from your clothes. Also, touch them to make sure they haven’t been overheated and move them further away from the fire. Synthetic fabrics can also burn in random places, leaving gaping holes in your clothes. The smell of burnt synthetic fabric is specific and you should recognize it without a problem. In addition to the above tips and ideas, we have to offer you a few more. One great way to dry clothes, socks, mittens and shoes is to get hand warmers. 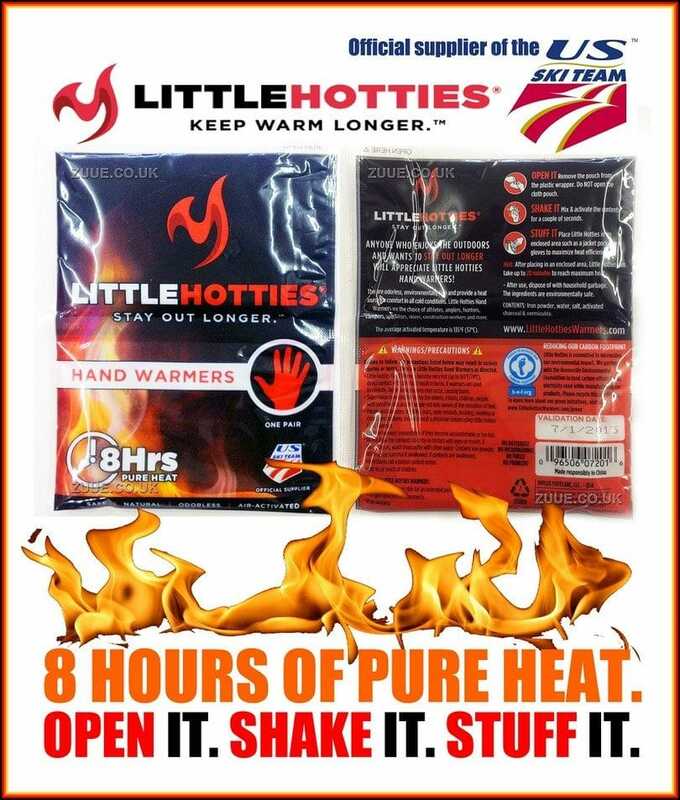 These products (Little Hotties hand warmer) ensure warmth of up to 57 degrees C/135 degrees F and get warm by themselves. Each small package is as large as your palm and can be placed in your shoes, socks, mittens, among your clothes, on top or within them. There are multiple ways of using them, with the purpose of getting your hiking/camping gear dry. 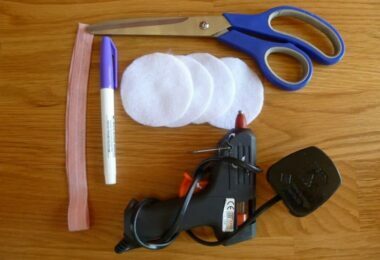 Here is also a short video on YouTube to get your started using these items. To warm up the package, you need to shake it for a while (about 10 minutes) if you want to achieve maximum warmth. You don’t need to reach this temperature though. The best way to efficiently dry your clothes a temperature of about 35-40 degrees is optimal. So, shake the package for a while and not particularly vigorously and you’re ready to dry your clothes and shoes. Another useful method of drying clothes while it’s warm (it doesn’t have to be sunny), is to lay them on warm stones. Usually rocks and stones accumulate warms throughout the day, especially the summer time, and you can have dry clothes very quickly. Of course, this method won’t work during the winter or in rainy weather. For cold seasons, use the Hotties and carry enough packages so that you will be prepared to dry any type of clothes or shoes. Another place where you can position your clothes to dry are your walking poles. You don’t have to necessarily have a drying line to attach your clothes to them. You can simply use your walking poles and place them perpendicular to the ground so they can acts like drying stands, where you can place your wet clothes. Of course, if shouldn’t be raining or humid outside, otherwise this won’t work. If your hiking poles are adjustable you can play with their length and use them inside your tent. Of course, make sure to wring out the excess water before you put your wet clothes inside the tent. 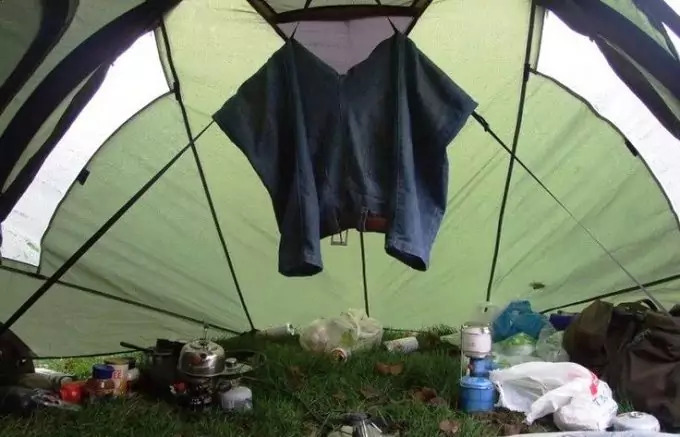 If you have a tarp at hand (apart from your tent and shelter) you can set up a place where your clothes will be safe from rain, but will be outside and exposed to more ventilation than in your tent. Thus you also can avoid the risk for too much condensation in your tent, if you keep your wet clothes inside. With your tarp, set up the shelter so that you have nearly vertical ‘walls’ which will keep the clothes safe. If there’s rain outside, make sure that the direction of the rain doesn’t go straight through the tarp’s opening. Also, make sure there is an opening so that you promote better ventilation. Due to the closed space your tarp will make, there is better chance that the space will get warmer than outside, which will help the clothes dry easier and faster. 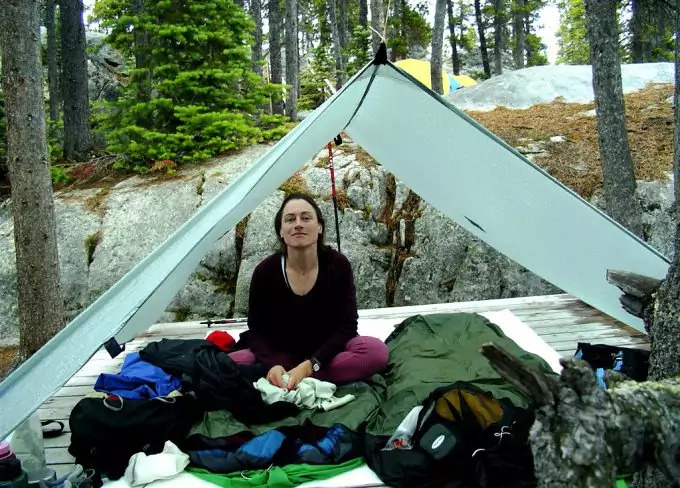 You can also combine several of the above methods in one, for example, to have your drying clothes in a tarp shelter and put some Hotties in the pockets and wrinkles of the clothes, thus keeping them warmer than usual. 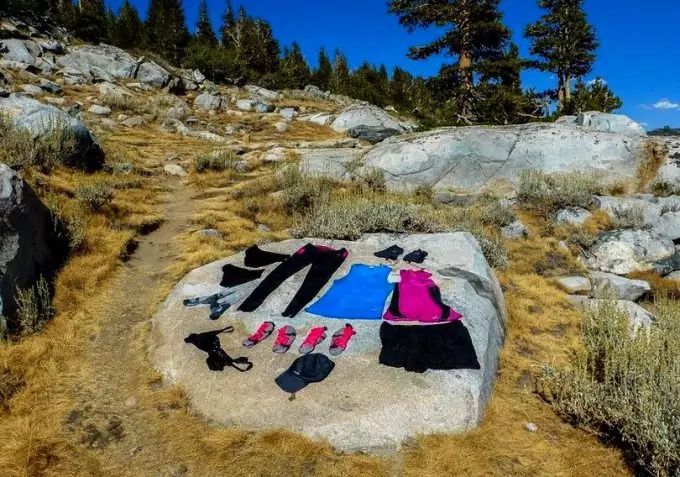 This method of course would be much more inefficient during cold weather, because clothes don’t tend to get dry in low temperatures. During the winter the only efficient way to dry your clothes is to keep them either in your tent, use Hotties or place them nearby or inside your sleeping bag. In very low, sub-zero, temperatures, the air tends to be dry and this can help the moisture escape from the clothes. Unfortunately, they will freeze first before the drying can be triggered. Freezing your clothes may damage the fabrics and render some Gore-Tex membranes useless, so keep that in mind. Other fabrics may also get damaged. Synthetic fabrics like nylon and polyester can endure freezing. Overall, aim at higher temperatures for drying your clothes, rather than freezing temperatures, since the latter method takes much more time. Another useful tip to consider is that whichever method you prefer to use it’s always a good idea to change the position of your clothes. Move them slightly, change the folding or turn them inside out, etc. This will ensure that any areas which are still damp will have the time to dry as well, thus speeding up the drying process. Do this as often as you can. If you use Hotties, make sure to change their position now and then and lay them on different places on your clothes or shoes. To speed up the process you can use both Hotties and place your wet clothes near your sleeping bag, thus two methods work together. Overall, as long as you make sure there is proper warmth in the air and good air circulation, you will be sure to have your clothes dry in no time. Once you set them to dry during the night or for a few hours before you go to bed, you can have them entirely dried by the next day. And if you’re in a hurry, use the folding method (fold wet cloth in dry cloth) and press hard the folded clothes, to distribute the moisture. If you place a few Hotties, this method can work even better. Use your imagination and the above tips and methods and you will always have dry clothes, even if it were raining or you just sweat too much. Check out our piece on what to wear during your hiking to help you with more options.